This book reads like that list of ‘really bad metaphors’ that surfaces on the net every now and then – and I LOVE it. TL;DR – This is the story about a boy whose life falls apart on Christmas eve, and if you’re wondering why I read a book like this at the beginning of July, I should point out that apart from the references to snow – which I don’t think I have ever seen at Christmas in the UK anyway – the book could have been set at any point in the year. It’s not just a Christmas story is what I’m saying. Goose’s parents both die in a car crash on Christmas eve, and in the following year his life has gone from happy and carefree, to casual criminal and a destroyed childhood. The only good things left in his life are his Nan and his dog. His Nan has Alzheimer’s, and he’s just lost his dog. Then this somewhat magical weirdo appears and turns things upside down. The first thing that stuck out was on the first page – “His all-over-the-place hair was all over the place”. It’s childlike and weird, and it totally sets the tone for the rest of the book. It is written with a childlike quality that I really loved. The next thing that stuck out was that I guessed the ending literally the second it was possible to do so. I’ve thought about it and I don’t know why it was so obvious, but it jumped out at me immediately. That said, I wasn’t disappointed to discover I knew the ending, and really enjoyed reading it. The story is entertaining, the writing is funny, and the plot is quite clever, if a little cliche. It’s just a nice, easy read. 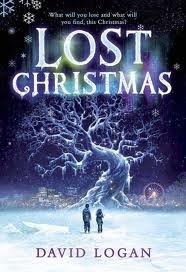 I can’t abide Christmas books – which is probably why I liked this one. If it wasn’t for a title and the occasional mention it could be just winter or any other cold place (that also happened to be called Manchester). I recommend this one to anybody who likes a good story with a very casual writing style. Funny, clever and entertaining. Gaiman is the king! TL;DR – This book is cleverly crafted, brilliantly written and endlessly entertaining. Once again Gaiman delivers a cracking read! A must have for fans of fantasy and myths. I adore Neil Gaiman – he’s one of my fave authors (I met him once at a book signing, it was tres hoopy). I’ll read basically anything he’s written and this has been on my list for a long while. Conveniently this happened to fit under the heading of “An award winning novel” for my reading challenge – it won the Hugo, the Nebula and the Bram Stoker awards for Best Novel and the Locus award for Best Fantasy Novel. Shadow is finally getting out of prison. He’ has a plane ticket home to his loving wife, a job lined up and things will finally start getting back to normal. Then his world falls apart. His wife and future boss both dead in the same car accident. Now he has a ticket to nothing, no future and no hope. Then he meets a man on a plane. This man, Wednesday, offers Shadow a job – it pays well, it’s mostly legal and very important. With nothing else to do with himself, Shadow takes the job and is thrown head first into a world of Gods old and new, and a war for that could change the mythological world forever. The book is gripping and funny – it managed to win a fantasy, science fiction and horror award, which should give you some idea as to the quality of the writing. The version I read was the full ~700 page behemoth. I accidentally bought a French version which was less than half that size – I don’t know what was removed from that version, but I’m certain it was missing out on some gold. The book is full of fantasy, gods and mythology, with twists and turns abound. 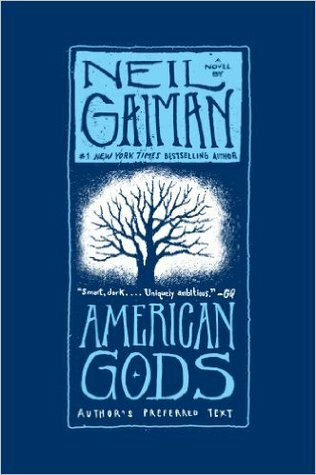 When I picked up this book, I didn’t really know what it was about – I assumed American Gods was just a title, but as it turns out this book is brimming with Gods and awesome stories about how they came to America and what has happened since. That was a really awesome discovery. Gaiman weaves in elements of global mythology into his storytelling, and it is both fascinating and enjoyable to experience. Those of you who have read his book “Norse Mythology” will already be aware of how well Gaiman writes mythology, and for those of you that haven’t, read it and this because both are superb examples of how to write about gods. The plot is extremely clever. It feels like it several stories, broken up with bonus short stories as a bonus. Gaiman leaves clues about the plot all the way through, but disguises them beautifully – by the end I was left wondering how I hadn’t worked things out sooner and loving that the fact that I had been so blind. It is there for those with the eyes to see. I was hooked from beginning to end. It’s a long book, and I read it in a few days because I couldn’t put it down. Nothing stands out. It was excellent. This book is outstanding, and also totally typical of Neil Gaiman. You know when you read a Gaiman novel it’s going to be great, and this book did not disappoint. I would recommend this book to anybody who likes fantasy fiction especially – but also to literally anyone and everyone because it’s great. TL;DR – If you like light reading, humour and pirates, give this series a try. “The Pirates…” series is made up of 5 books; The Pirates! In an Adventure with Scientists (2004); The Pirates! In an Adventure with Whaling (2005); The Pirates! In an Adventure with Communists (2006); The Pirates! In an Adventure with Napoleon (2008); The Pirates! In an Adventure with Romantics (2012). “The Pirates!…” books focus on the tales of a typical pirate crew, and their fearless and ruthless captain; The Pirate Captain! With his pleasant open face, stentorian nose and luxuriant beard, the Pirate Captain leads his fearless – and only slightly inept – crew on a series of adventures throughout the globe. The books contain a host of lovable heroes and contemptible villains, from Number 2 (the only competent pirate on the boat), to the dastardly Black Bellamy (Pirate Captains Arch Enemy / Long Standing Friend) to the cynical, realistic (and therefore much loathed) Pirate in Red. The Pirates! In an Adventure with Scientists (2004) – In an attempt to score some major treasure, the Pirates attack a vessel belonging to the Bank of England, transporting oodles of gold and treasures to wherever it is the Bank of England hordes it’s treasures. Unfortunately for the the Pirate Captain, this vessel contains less gold and more brilliant naturalists, in the form of Charles Darwin. 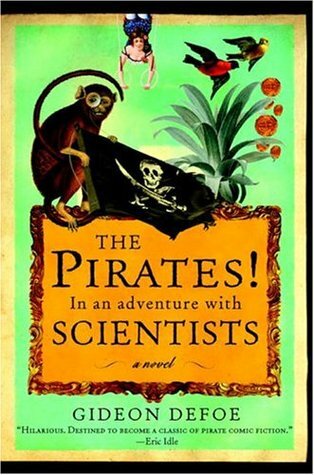 Never one to back away from a challenge, The Pirate Captain concocts a scheme to use Darwin to make a fortune in London – leading to an exciting (and utterly bizarre) mystery that only the Pirates can solve. The Pirates! In an Adventure with Napoleon (2008) sees a depressed Pirate Captain give up the salty world of professional pirating, to follow his life-long (read: half-hour long) dream of being a bee-keeper. He buys an island – which the brochure says is ideal for bee-keeping – from the devilish Black Bellamy, and (much to the misery of the crew) set’s sail for his new Island – Corsica. Shortly after arriving, a new resident arrives – none other the Napoleon Bonaparte, freshly exiled. The Pirate Captain and Napoleon hit it off badly – two powerful personalities on a small, raggedy island (that is useless for keeping bees on) constantly at each others throats. The pair set about proving once-and-for-all who is the better man, with hilarious results! My first exposure to this series came from the movie adaption – The Pirates! In an Adventure with Scientists (Movie – 2012) – which remains one of my Top 5 movies of all time. After watching it a few times and looking on the ‘net, I discovered the books and bought them all. The books did not disappoint. The main (and most non-specific) reason is because I enjoyed the books so much. “The Pirates!…” books are the only series I can think of that I have read 3 or more times. I enjoyed The Pirates! 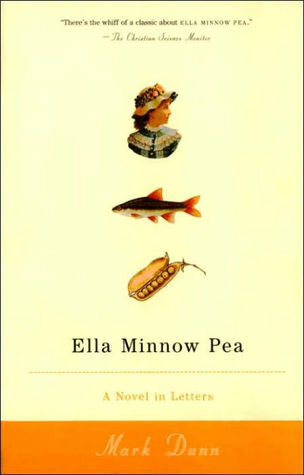 In an Adventure with Scientists (2004) so much that it is my go-to book for reading when I’m in a difficult head-space and need something to soothe and give a little spark of joy. It also holds the #1 spot in my Top 5 ‘light reading’ list. Secondly, the characters. This series has characters I can really picture and enjoy (which was definitely helped by the movie adaption). I love the Pirate Captain most of all. The Pirate Captain stands out for me because of the way his character reacts to the world around him. He is a Pirate because he loves the idea of being a pirate. He loves the treasure, and the pirate boat and the running people through. He loves the tattoos and the shanties and the roaring. He is married to the sea and is mostly faithful to it. He loves pirating – he just isn’t very good at it. For starters, he’s really bad with names (so relatable) so he uses descriptions instead – The Pirate in Green, The Albino Pirate, The Pirate Who Likes Kittens And Sunsets. He also doesn’t know how nautical instruments work; be it an astrolabe or an honest-to-goodness map, the Pirate Captain doesn’t know how to use it properly. But he tries his best, and goes out of his way to make it sound like he knows exactly whats going on – even, and indeed especially, when he has absolutely no clue. The Pirate Crew love him in spite – or perhaps because – of this (except the Pirate in Red who tried to undermine the Pirate Captain whenever he can). The Pirate Captain is not a man with a plan. He prefers to get an outline (catch the white whale) and fill in the details later. This leads to a series of amusing, over-the-top and mostly ineffective schemes as part of a totally bizarre and wonderful adventure. Things usually work themselves out in the end, in one way or another, and you never stop rooting for the magnificent Pirate Captain and his rag-tag crew of lovable idiots. Finally, the stories themselves. The plots are silly. The writing is silly. The characters and situations and footnotes are silly – and that is fantastic. These books don’t take themselves seriously – there’s no worrying about realism or historical accuracy or on occasions, common sense. It’s just fun. Fun for adults, and fun teens, fun for all! Most ages: Certainly fun for adults and older children. (Probably find for younger children but use your own judgement). For readers of: Terry Pratchett, Douglas Adams etc. Similar sort of humour and writing. I personally rank my Top 3 ‘humour’ series as #1 Discworld (Pratchett), #2 The Pirates!… (Defoe), #3 The Hitchhikers Guide to the Galaxy (Adams). The Pirates! series is equal parts funny, weird and wonderful. 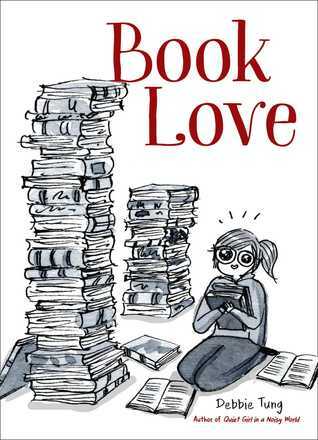 With situations and characters that are easy to love. They are written in a humorous and easy-to read way (complete with interesting and amusing foot-notes). The stories are short, and sweet and funny. You really can’t ask for more.